It has been a long time since Google said of bringing prescription lens support in Google Glass. But till date, there hasn’t been any hint as when it will be realized. It is heard that Google approached Rochester Optical on 2012 and after that 18 months passed away, nothing noticeable happened. Rochester Optical chief Tim Moore said that his company will try to fill the gap that was incurred due to Google’s delay and the 80 year old company is quite confident in doing so. Last week, many reports circulated stating that Google and Rochester Optical are working together to realize Google Glass’ model but actually the situation was just the opposite. The latter has four Explorer edition headsets but when Google was asked about their partnership, they simply denied. But after reading Rochester Optical’s press release, it seemed very obvious that there was some deal that took place between them and Google. Even the same goes for Venture Glass which on the same manner doesn’t have any tie-ups with Google. Rochester Optical is very confident in making Glass without partnering with Google. To them, it is as easy as creating a new pair of glasses. Moore stated that his company has a lab full of scientists who are always looking for new research opportunities. He didn’t mention how their frames will fit in with the Glass but he confirmed that the designs and combinations will be contrasting, trendy and stylish. Moore also added that their frame will be made in such a manner that it will be wearable even when the headset will be detached. Rochester Optical is planning to start selling Glasses by January 14. The cost would be somewhat near to a pair of good glasses. They will be targeting myopic people, who will be able to see the display on the glass clearly. Google has plans for its own prescription glasses and we know the release of it is not too far. 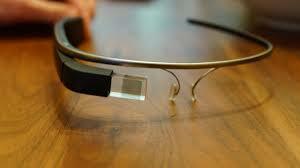 This May,Google declared that prescription support for Glass will be available by the end of 2013. Though there is no movement from Google’s side till date, but i can assure that Rochester Optical’s won’t be the lone prescription model provider for much long.